Bristol beat Saracens to boost their Premiership survival hopes, as Billy Vunipola was subjected to boos after coming off the bench for the champions. 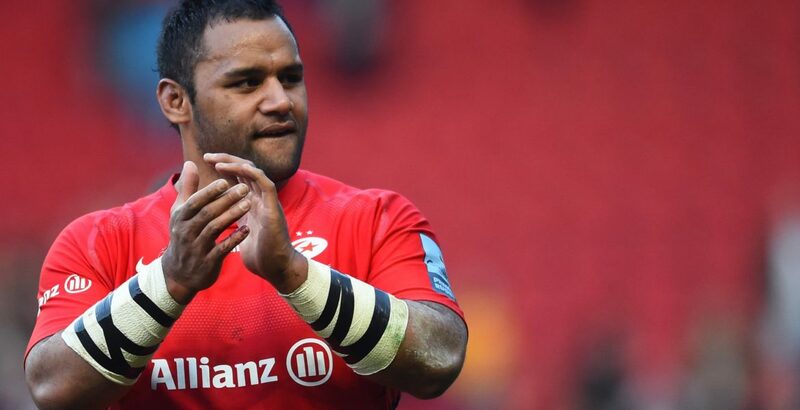 England international Vunipola featured for the London club just a day after he controversially defended an anti-gay social media post from Israel Folau. He was sent on after 50 minutes with Sarries 13-7 down and helped them reclaim the lead late on. Ian Madigan, however, booted Bristol to victory with the last kick of the game. Victory moved the Bears 11 points clear of bottom club Newcastle Falcons, whose prospects of top-flight survival were dented by Friday night's defeat by Leicester. Saracens, second in the table and already assured of a play-off spot, led 7-6 at the break after Thomas Whiteley grabbed the only first-half try, while Bristol's points came from two Callum Sheedy penalties. A dazzling break from Mat Protheroe set Steven Luatua up for the first Bears try, putting the hosts up for the first time in the 45th minute. Bristol's Harry Thacker was then sin-binned, with Sarries making their numerical advantage count as Marcelo Bosch bulldozed his way over to restore their lead. Daniel Thomas of Bristol and Saracens' Ralph Adam-Hale traded tries as the advantage again swapped twice in quick successive with 16 minutes remaining. Eventually, however, Madigan slotted the decisive points after Bristol were awarded a penalty right in front of the posts. Defeat brought a turbulent week to an end for Sarries, with the club's management of the salary cap also coming under renewed scrutiny. On Friday, Vunipola was widely condemned after he defended "liking" a social media post from Folau, which claimed "hell awaits" gay people. While Folau looks certain to be sacked by Australia for the comments, Vunipola was in action just over 24 hours after calling for people to "live their lives how God intended" and said "man was made for woman to procreate". Saracens have said they take the matter "very seriously" and that it will be "handled internally," while the Rugby Football Union will meet the England forward next week to discuss his social media posts. "He [Billy Vunipola] is a human being and he is also keen to do well for his team-mates. He is a great club man. I thought he did well when he came on in fairness. "The decision to play him (Vunipola) from the bench was made before what happened, happened." On the booing: "I am not sure if it is surprising. It was unexpected. I don't want to get dragged into anything. My opinion is not that relevant." "To play a team like Saracens, you have to play a certain way to be successful. "Fair play to the boys, we were disappointed after our game at Twickenham (against Bath last week) which was another game we contributed to the loss. "There were some big changes we needed to make after that and really emphasise why we were doing it. "Bar a couple of mistakes, they implemented our plan well and we got the win out of it."